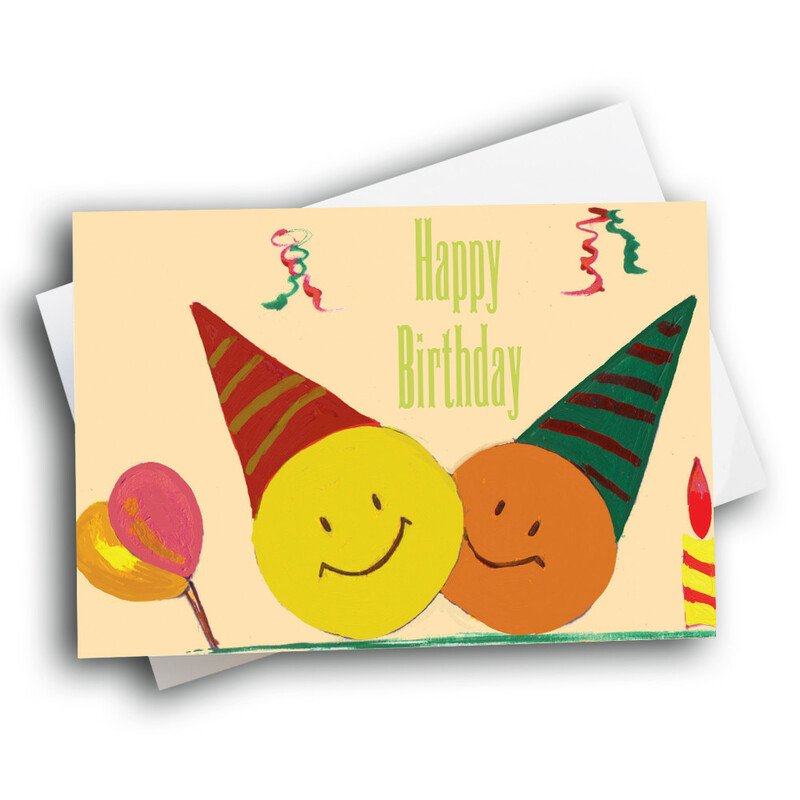 Start someone's special day with a smile, with this adorable birthday card. 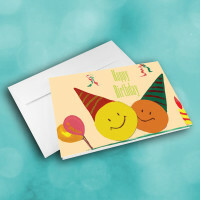 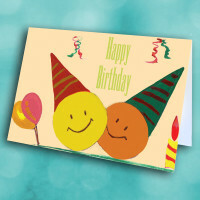 This sweet and simple birthday card, with its charming, child-like artwork, is sure to light up a special day. 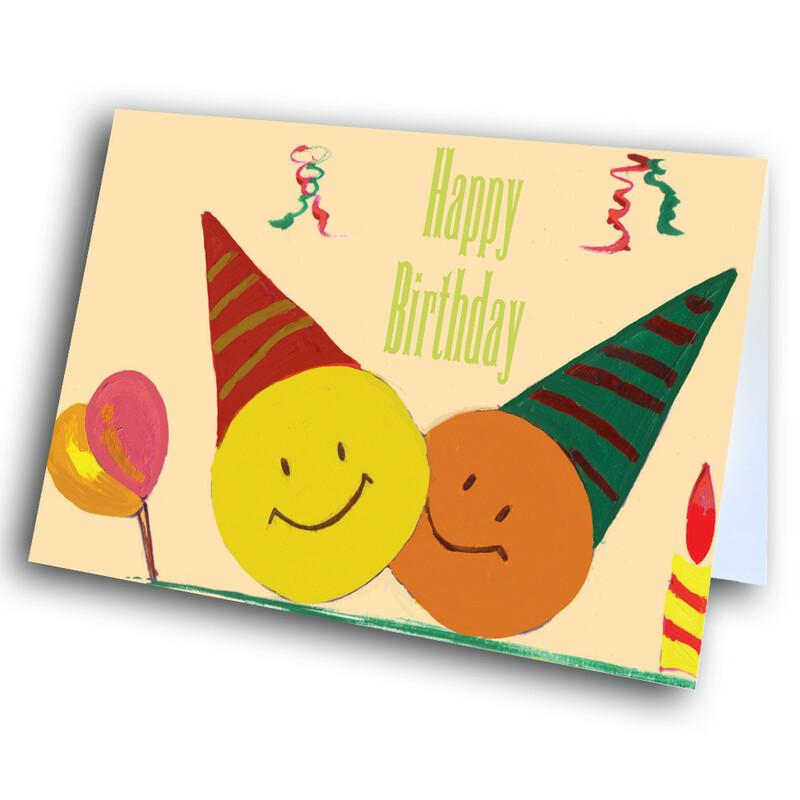 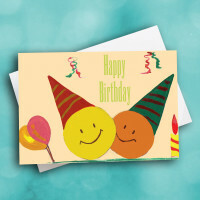 The front features a joyful birthday scene, with two happy friends sharing a smile under the bright birthday greeting. 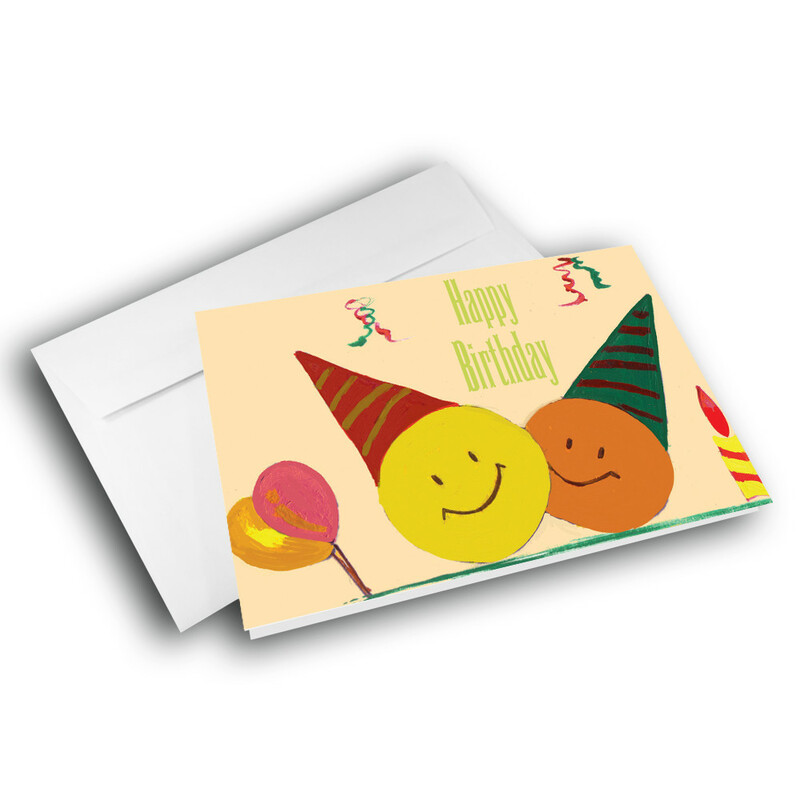 Add personalization with a custom message inside, to give the card your unique touch.